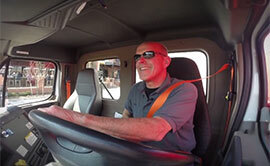 According to the Sun Times, the shortage of professional truck drivers is opening a whole new career avenue for women. Currently, there are approximately 30,000 jobs nationwide that need to be filled—and if you ask Virginia Clark of YRC Freight, Chicago Heights, it’s a great job for women. 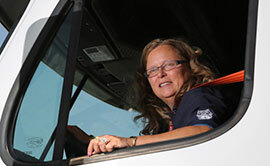 As the industry is facing a growing shortage of drivers, women are working hard to make the industry more woman-friendly, doing things like improving safety, implementing better anti-harassment laws and simply making the trucking environment more comfortable overall for women drivers. While there is a long way to go, improvements are being made every day, and there are great companies out there—like YRC Freight—that are working hard to ensure female drivers enjoy the same great careers as all their other drivers. 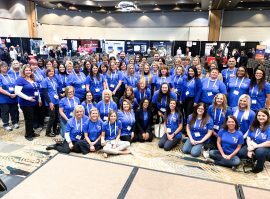 Organizations like Women in Trucking are hosting events such as “Trucks Are for Girls” to encourage girls to view themselves in the driver’s seat as they get older, and many companies are talking to women about lucrative career possibilities. Read more about women in trucking and how the nationwide shortage of drivers is opening up possibilities for women across the country in the recent Sun Times article, Women at Work.